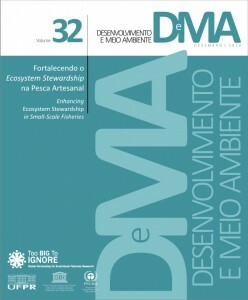 Desenvolvimento e Meio Ambiente Journal has recently published a special edition on “Enhancing ecosystem stewardship in small-scale fisheries”. Organized by Rodrigo P. Medeiros (Universidade Federal do Paranã), Patrick McConney (University of West Indies, Barbados) and Thiago Z. Serafini (Universidade Federal de São Paulo), the edition addresses the ecosystem stewardship, one of the main research themes of TBTI. Download the articles in this special edition.